The Sacrament of Confirmation is usually received following two years of preparation in parish religious education classes. High School freshmen and sophomores prepare on Sunday mornings at 8:45 a.m., meeting in the school building and are confirmed in the spring of the second year. 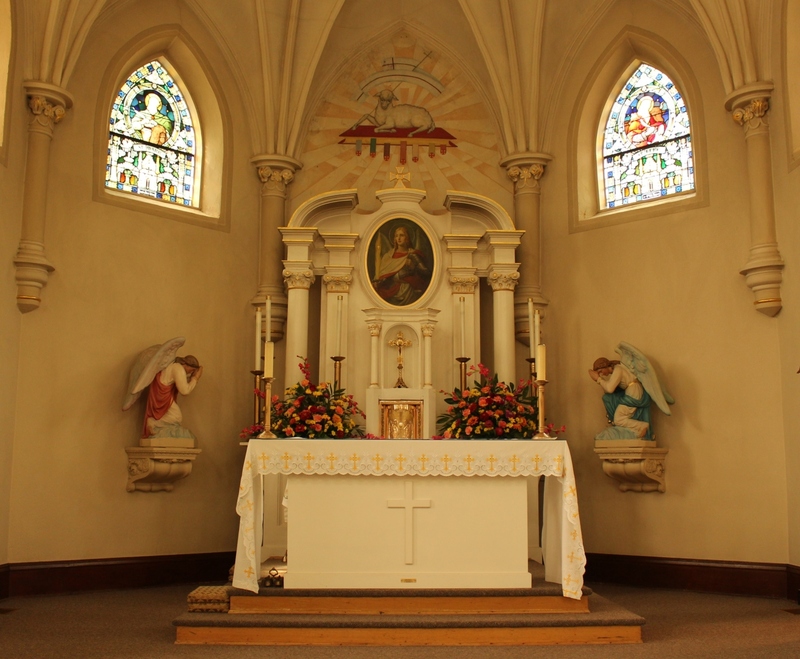 The sacrament is usually conferred by the Bishop at one of the three local parishes (St. Michael's, St. Joseph's, or Our Lady of the Shoals), determined by rotation. 2018 was held here at St. Michael's on April 21st at 3pm followed by a reception. 2019 will be hosted by Our Lady of the Shoals in Tuscumbia, AL. Hopefully dates and time with be released soon. Other preparation and arrangements may be made after contacting the pastor.